So im new to the whole IoT world and LoRaWAN in general, but i have been doing some reading and wanted to set up a gateway and node. Unfortunately, the only allowed free band is the 433MHz band. Are there any alternatives for connecting to TTN? maybe a 433MHz to 915MHz converter or something? alternative site? TTN servers have basic support the 433MHz band, meaning that the channels specified as “mandatory” by the LoRaWAN specification are supported. Configuring your gateway with these channels (most 868 hardware supports 433) and pointing it to TTN should work. If it doesn’t, we’ll try and find a solution for that. Um? I don’t think that’s true for nodes (other than RN2483) and even less for gateways. Unfortunately, the only allowed free band is the 433MHz band. Why is that a bad thing? The 433-866MHz range is ideal for the low power, long range and low throughput technology LoRaWAN is. It also depends on where you live. I have no knowledge of any countries that limit you to 433MHz. ’ Georgetown is Guyana’s capital, on South America’s North Atlantic coast. Cool! 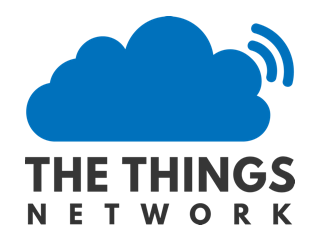 Welcome to The Things Network community! Let’s build this thing together! Do you have any documentation in using 433MHz as TTN nodes? Maybe also tell us which country you’re in. Here is the complete code, I’m from the Philippines, btw. I don’t see ’ LMIC_setupChannels in LMIC init ? Hi, I am new to this forum. I purchased a bunch of 433Mhz LoRa devices and I am struggling to understand why the frequency might be a problem. I would have thought that TTN shouldn’t care about what frequency my gateway is operating on since TTN will only receive TCP packets. Why does 433Mhz support have to be implemented on TTN’s side? Any pointers? I am in Uruguay BTW. I researched a bit and it seems that I can use either 915Mhz (ISM) or 433Mhz (as used by ham radio). The gateways in LoRaWAN are fairly dumb, it’s up to the network to decide which frequencies to use for example on downlinks and also enforce the duty cycle for the specific frequency plan you use - among other definitions. Sir, any update on this? We are planning to do the same thing. Hi guys , we are from israel , we are working on ESP32 . TTN’s official recommendation is to wait until the LoRa Alliance publishes a regional parameters specification that is suitable for Israel’s 915-917 band. Until then you could experiment with the 433MHz band (but you will need different hardware for that). I do know that the LoRa Alliance has been working on a “middle east” regional specification, but I can’t share any details about that yet. I’m very sorry that I can’t be of more help, this is out of TTN’s control, so we’ll just have to be patient. If, alternatively, you want to see if TTN wants to support EU443 after all, then see Proposal for EU-433 frequency plan.